1. Please advise suggested space between roof slab and steel truss. This is for tiled roofing set on top of concrete slab, and meant for a single storey house. What would be the approximate cost of such structure? 2. 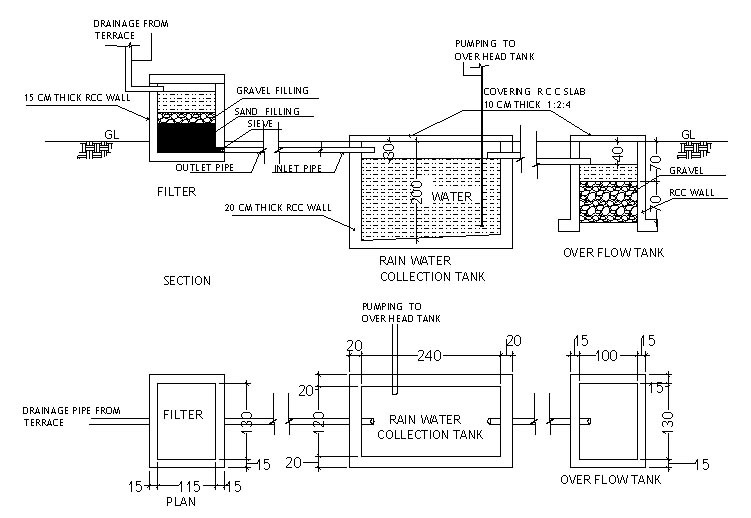 What would be the typical details for Rain harvesting tanks and systems connected to a single storey villa. 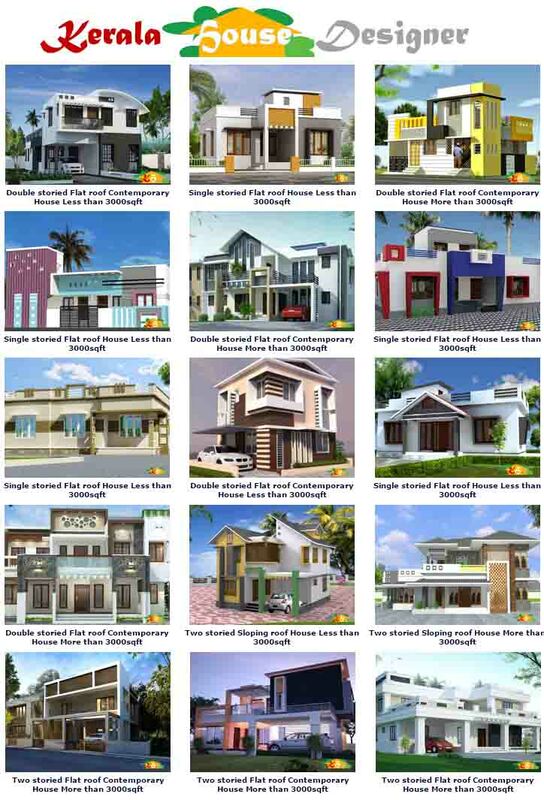 These factors are determined by the Design of the Residence. 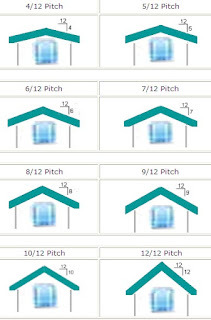 Given below are images of different types of Trusses and various Pitch Angles. A 7/12 pitch means that for every 12” span, the truss has a height of 7”. You may decide on the type of truss and the angle of the pitch to work out the height of the Truss and the Clearance from the Concrete Roof. As for the cost, it would be advisable to show the design and specifications to two or more contractors in your area and get price quotes, and then decide on the best bid. 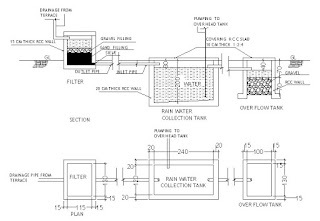 Storm water from the Roof is first filtered through a Filtration Tank and then collected in the Rainwater Collection tank. An Overflow Tank is connected to the Collection tank to drain out excess water during heavy rains.